Casting, plot and release details are also included. Check out the newly released trailer of the upcoming comedy-horror film ‘Body.’ The film revolves around a group of college friends that are caught breaking into a mansion to party and are met with gruesome consequences. Body is filled with twists and turns at every corner and definitely is a film you do not want to miss. The film boasts an impressive cast list featuring Helen Rogers (V/H/S, The Sacrament), Alexandra Turshen (Red Oaks, Piranha Sharks), Lauren Molina (Martha Marcy May Marlene, The ABCs of Death 2) and Larry Fessenden (We Are Still Here, Pod, The Battery). The film is both directed and written by Dan Berk (Dispatch) and Robert Olsen (Sketchy, Dispatch). 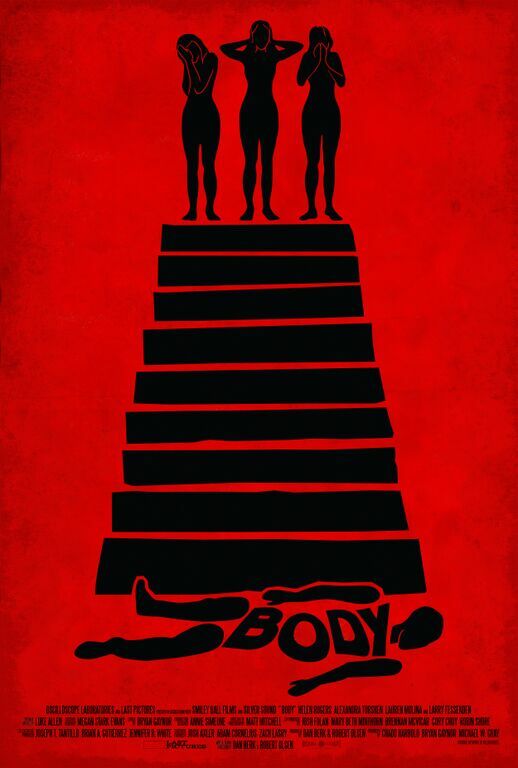 Be on the lookout for Body as it hits cinemas this winter on December 7th and will be available VOD on December 29th!